Is it Sensible to Award one Houston Pool Company as "Best"? Defining the best is more difficult than you would think. They have never transacted with the companies. They have never met the owners or the employees. They have not called the companies or analyzed the service guarantees on their websites. They have not contacted past or present customers of the companies. And this has certainly not been done for every pool company in Houston! So what are these sites doing? Such websites are simply ranking a select few pool companies in the Houston-The Woodlands-Sugar Land area that they have added to their internal database based on internet votes or reviews from their visitors. Very often with no mechanism in place to verify that the reviewer was actually a customer of the pool company! And problem with solely using 1-5 star voting is that no Houston pool company can be all things to all people. Nor should it try to! For example, a pool service company could be considered by you to be least favorable because they are more expensive due to providing guarantees for things that you don't worry about. To another customer that same company could be considered the best because they desire the comfort of the guarantees due to the significant investment they put in designing & constructing their pool. "Best" is a highly biased and idiosyncratic insignia. But we desperately want it to be objective. What's a Houston pool owner to do then? We don't claim to have the perfect answer. But one idea is to focus on pool company qualities that are universally desired and specifically promised by the company. We built a list of what we believe are the most in demand qualities in a Houston area pool company, whether that be a pool cleaning service, pool repair, or pool construction company. Would you consider these elements highly desirable? A Houston pool company with their own proprietary job site tracking system that measures time spent on site and verifies before and after pool photos with GPS. Having a cell phone number of a local Houston field manager who is always eager to help and discuss any concerns that may arise. Having direct access to a manager is one way a pool company can make each customer feel like a VIP. A well-staffed pool company that answers 98% of calls before they go to voicemail. A company investment to ensure you always feel like your call is considered important. Using high quality materials and the highest purity chemicals. Metal-based algaecides are cheaper but they are poisonous and perform similarly to Roundup. Higher quality chemicals trick algae into thinking that the existing chlorine is food and dies. Doing background checks on employees at the time of hiring is one thing, doing checks annually to re-verify their eligibility to be in your backyard is what a trustworthy Houston pool company will do. Sound like a finalist to you? If you agree that these 5 points are important for a pool company to have, we invite you to try our services. Blue Science provides pool service, pool repairs, remodeling and new pool construction to Houston homeowners. After you experience our dedication to customer service and handiwork, maybe you will say we are the "best". We want to earn that word. There are many good pool companies in Houston, which is just one reason why we work so hard to keep our customers happy - we know they have other options. Thank you very much for visiting and we wish you luck in your search for the best Houston pool company! 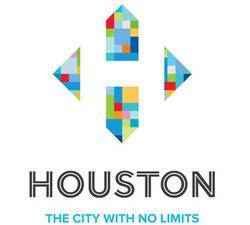 Houston is the fourth largest city in America with over 2,145,146 residents today covering over 601 sq miles. Being a large city, Houston provides many unique experiences to every citizen and visitor. Houston has four major league sports teams, a large arts district, and a thriving downtown scene. Houston also is home to many large international and national companies, along with many unique small businesses. When providing pool repairs and equipment installations in Houston, we use only supplies and parts from top pool companies.